Berlin-based songstress Anne creates a beautiful fusion of indie pop and electronic sounds by combining acoustic guitar and piano with danceable beats and synthie pads. Her music is reduced to the essentials and creates a playful dream away sound. Last year she wrote and recorded her crowdfunded solo album. Working with many different songwriters, producers and musicians from Berlin, London, Manchester, Kopenhagen and New York her album grew and evolved. But no matter what sounds she is exploring, her music always stays focused on her warm voice and melancholic but upbeat lyrics. Her album „In the Darkness“ is released on June 3rd 2016. Anne Haight is no dark horse. In 2012 she won the Radio Award of the Berlin-based radio station Radio Fritz as “Best Act Music“ at the “Fritz Night of Talents“ and she entered “Popcamp“, a national support programme for emerging pop artists from Germany. In 2012 she also released her first single “Black Bird“ and got the attention of several national german radio stations such as Radio Fritz, Radio Sputnik, Deutschlandradio and others who all played her song. In 2013 she collaborated with Danish producer John Gordon and released singles “Mirror“ and “Seaside“ which got national airplay on several radio stations. During this period she set up a crowdfunding campaign for her first solo album and was supported by her Fans from all over the world. Her solodebut releases on June 3rd 2016. Press Release Single Release - "Snow Globe"
The Berlin-based artist Anne Haight releases her new acoustic song "Snow Globe" on December 7th 2018 on her label Broken Palace. “Snow Globe” is a wistful, wintry song about the feeling of missing a loved one at Christmas. Haight recorded and produced the song in her home studio during some long late night sessions. Pure acoustic guitars are melting together with layers of ukulele, enchanting background choirs and soft synth pads. The result is a beautiful, atmospheric song for the upcoming Christmas season. Press Release Acoustic EP - "Clarity"
The Berlin-based artist Anne Haight releases her new acoustic EP "Clarity" on March 23rd 2018 on her label Broken Palace. 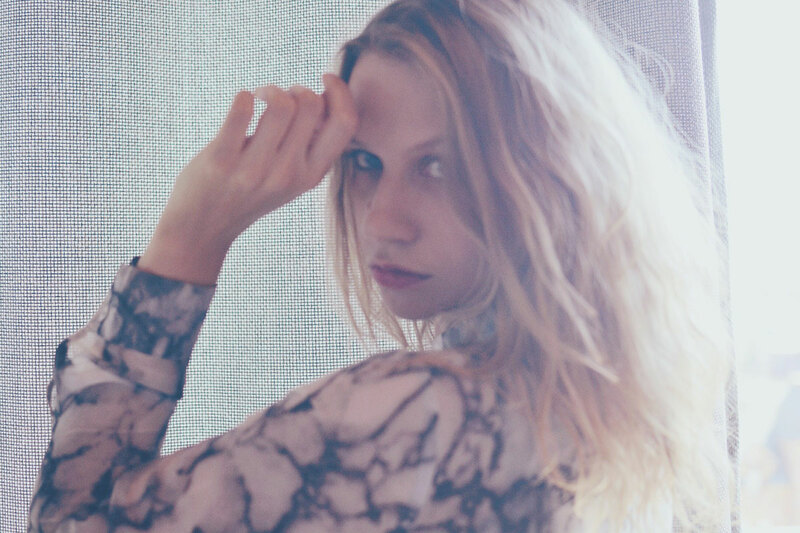 “Clarity” combines both pure acoustic and soft electronic sounds, bridging her roots in folk songwriting and the electronic vibe of her indie-pop debut album "In the Darkness". 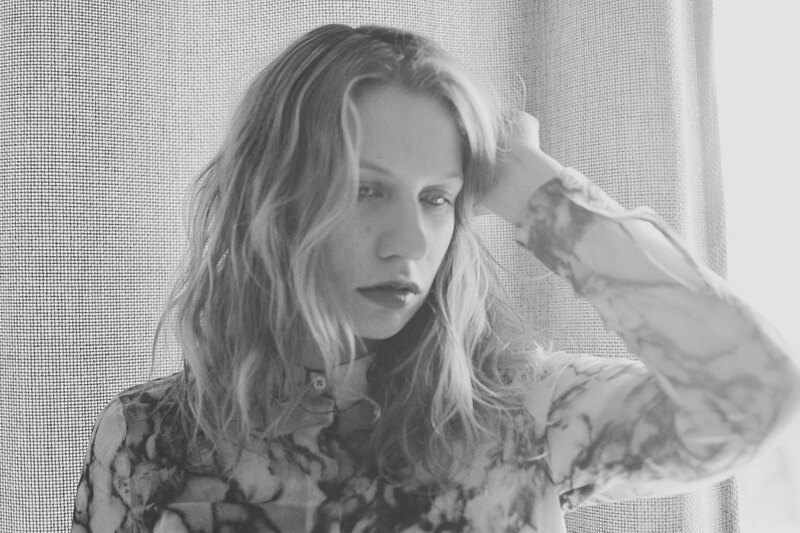 For the new EP Haight has recorded three newly-imagined acoustic versions of songs previously released on her 2016 album "In the Darkness", as well as the unreleased song "Clarity". Haight, known for her powerful solo performances, captures the thrill of the live moment in her new recordings. For the selected songs, Anne Haight has always had a second live version as an acoustic version that she recorded for this EP. The four tracks were recorded at Jennifer Eberhardt's cozy “Eberherz Studio”, and polished in Haight’s own home studio. The result are four intimate and pure songs held up by vocals, acoustic guitar, crystal-clear background choirs and distant, shimmering synths. Originally intended to be purely acoustic recordings, Haight couldn’t resist the allure to re-instrument the songs. Nevertheless, the focus on voice and acoustic guitar makes the songs appear in a very different light, developing a very special intensity, and a muted acoustic ambiance reminiscent of artists like Laura Marling, Lucy Rose or Sufjan Stevens. The new “Clarity” EP provides warming sounds for the upcoming spring. 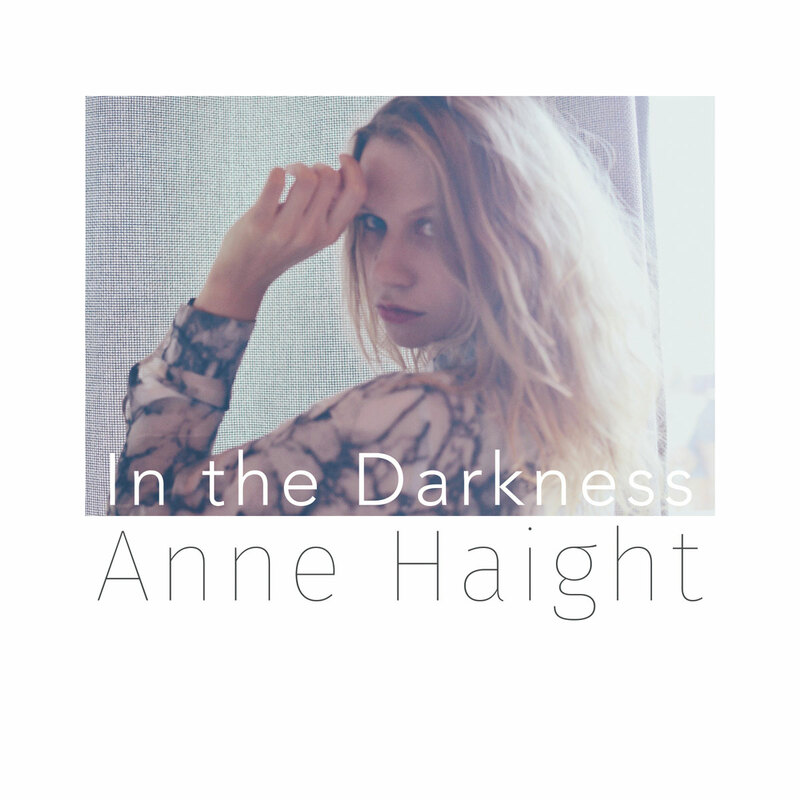 Press Release Album - "In the Darkness"
Berlin-based artist Anne Haight is excited to announce the release of her new album In the Darkness on June 3rd on the Broken Palace label. Her music is an enchanting fusion of indie pop and electronica that uses piano, guitar, electronic beats and analogue synth pads to create a truly unique sound. In the Darkness evokes Scandinavian charm with its catchy indie pop melodies and intriguing musical diversity, all carried by masterful lyrical sensitivity. Anne Haight is no dark horse. In 2012 she won the Radio Award of the Berlin-based radio station Radio Fritz as “Best Act Music“ at the “Fritz Night of Talents“ and participated in “Popcamp“, a national support program for emerging German pop artists. In the following years she released multiple singles while quietly producing her solo debut. After her duo partner left the project in 2014 she decided to keep going as a solo artist and she reworked the album completely. The album took over a year to produce despite an initial projected timeline of three weeks. Rather than rushing through the production process, Haight took her time to focus on a finely-tuned musical aesthetic and often found herself spending her nights working on the album in lieu of than sleeping. The result of her nightly sessions are eleven haunting songs that embrace an electronic tact more than the majority of her earlier works. In every track her warm, enchanting voice lingers gently over sounds of atmospheric synthesizers and distant background choirs that melt with soft guitar patterns and sparse piano parts. Her sound has evolved into a more epic one than her previous recordings, and yet her music still retains a distinctly intimate feeling. Haight notes that the multiple producers who contributed to the album over the two year production cycle had a substantial influence on her musical style. In the Darkness is the result of Anne’s collaborations with the Danish producers John Gordon and Thomas Stengaard, Andrew Pegram from Manchester, Simon Neilson from London and Tim Knapp from Berlin, all of whom have enhanced the overall tapestry of the album with a diverse array of musical styles that compliment each other and come together to produce a sophisticated aesthetic whole. Her lyrics, too, are delicate, powerful, and contend with important themes. In particular the lyrics of In the Darkness raise questions about the temporary nature of love, but in a way that avoids any semblance of Kitsch or self-pity. The single “Love Game” is a duet with Jody Gadsden, singer of the London-based band Autoheart. In this song a computer game becomes the analogy for the idea that love is like an exciting adventure that opens up new undreamed of worlds. It’s a game in which the player has more than one heart and in which a game over isn’t the end but instead simply leads to a fresh start. It’s a song about taking new chances and not losing faith in love even when you may have been hurt in the course of looking for it. In many ways Haight’s songs are about losing, searching and finding yourself again. In the haunting title song In The Darkness she dives into the subconciousness of her dreams. In Two Stars she embarks on a nightly journey through a large city. In one sound she may evoke a sense of longing like in the ballads Mirror or A Favor, and in the next everything may feel free and easy like in the summery, danceable songs Black Bird and Emily. It’s this range of emotions that makes In The Darkness a deeply intimate, honest and artistically masterful album, and one that pushes the Indie Pop genre to places it has yet to explore. Die Musik der in Berlin lebenden Songwriterin Anne Haight ist eine wunderschöne Fusion zwischen Indie Pop und elektronischen Sounds. Sie verbindet Akustikgitarre und Piano mit elektronischen Beats und Synthie Pads. Dabei bleibt ihre Musik bei allen Soundexperimenten jedoch immer auf das Wesentliche reduziert, ihre eingängige Stimme und ihre melancholischen Lyrics. Letztes Jahr nahm sie ihr durch Crowdfunding finanziertes Solodebut Album auf. Dafür arbeitete sie mit vielen verschiedenen Songwritern, Produzenten und Musikern aus Berlin, London, Manchester, Kopenhagen und New York zusammen. Ihr Solodebütalbum erscheint am 3.6.2016. Anne Haight ist keine ganz Unbekannte mehr. Die Berliner Künstlerin gewann 2012 die „Fritz Nacht der Talente“ als „Bester Act Musik“ und nahm am „PopCamp“ teil. Im selben Jahr veröffentlichte sie ihre erste Single „Black Bird“ und bekam so die Aufmerksamkeit verschiedener deutscher Radiostationen, unter anderem von Radio Fritz, Flux Fm, Radio Sputnik und Deutschlandradio. Im darauf folgenden Jahr arbeitete sie mit dem dänischen Produzenten John Gordon zusammen und veröffentlichte die Singles „Mirror“ und „Seaside“ welche ebenfalls im Radio gespielt wurden. Während dessen startete sie eine Crowdfunding Kampagne um ihr Album zu finanzieren. Für ihr neues Album hat die Berliner Solokünstlerin im vergangenen Jahr mit vielen verschiedenen Künstlern, Produzenten und Musikern aus Berlin, London, Manchester, Kopenhagen und New York zusammen gearbeitet. Das Album erscheint am 3. Juni 2016. Pressemitteilung - EP Release "Clarity"
Die Berliner Künstlerin Anne Haight veröffentlicht am 23. März 2018 ihre neue Akustik EP „.Clarity“ auf ihrem Label Broken Palace. Auf der EP vereint sie beides, pure Akustikklänge und sanfte elektronische Sounds und schlägt so einen Bogen zwischen ihrem Wurzeln im Folk als Singersongwriterin und ihrem mehr im Indiepop angesiedeltem Debütalbum „In the Darkness“. Aufgenommen hat sie drei Akustikversionen von Songs, die bereits auf ihrem 2016 veröffentlichten Album „In the Darkness“ erschienen sind sowie den bisher unveröffentlichten Song „Clarity“. Die 4 Songs sind vergangenes Jahr in Jennifer Eberhardts Eberherz Studio entstanden. Fertig produziert hat sie die Tracks dann in ihrem Homestudio. Alles ganz intim und pur, Stimme, Gitarre, ein glasklare Chöre im Background und in der Ferne schimmernde Synthesizer. Anne Haight, die Solo häufig nur mit Akustikgitarre auf der Bühne steht, hält auf ihrer EP den Reiz des Livemoments fest. Für die ausgewählten Songs hat sie schon immer eine zweite Liveversion gehabt, die sie für diese EP aufgenommen hat. Doch ganz konnte sie dem Reiz die Songs noch einmal neu zu instrumentieren dann doch nicht wiederstehen. Doch der Fokus auf Stimme und Akustikgitarre lassen die Songs in einem ganz anderen Licht erscheinen. Vocals und Gitarre hat sie in einem Take aufgenommen, dadurch leben und atmen diese Aufnahmen auf besondere Art. Fast pur entfalten ihre Songs eine neue Intensität. Ein wunderbarer Soundtrack für den kommenden Frühling. Pressemitteilung Album Release - "In the Darkness"
In the Darkness ist der Titel des Solodebütalbums der Berliner Künstlerin Anne Haight das am 3. Juni 2016 auf ihrem Label Broken Palace erscheint. Die Musik der Songwriterin ist eine wunderschöne Fusion zwischen Indie Pop und elektronischen Sounds. Ihr neues Album besticht durch ihr einfühlsames Songwriting und klangliche Vielfalt. Mit Leichtigkeit verschmelzen Piano und Gitarre mit elektronischen Beats und analogen Synthie Pads. In the darkness ist ein abwechslungsreiches Album das mit seinen elektronisch angehauchten Indie Pop Perlen skandinavischen Charme versprüht. Die Berliner Künstlerin ist keine ganz Unbekannte mehr. 2012 gewann sie die „Fritz Nacht der Talente“ als „Bester Act Musik“ und nahm noch im selben Jahr am „PopCamp“ teil. In den darauffolgenden Jahren veröffentlichte sie einige Singles und arbeitete derweil im Stillen an ihrem Solodebüt. Nachdem ihre langjährige Duopartnerin kurz vor Beginn der Albumproduktion aus der Band ausstieg beschloss sie allein ins Studio zu gehen und überarbeitete ihre Songs noch einmal komplett neu. Aus den ursprünglich geplanten 3 Wochen Studiozeit hat sich ein Produktionsprozess von mehr als einem Jahr entwickelt. Anne Haight hat sich die Zeit genommen sich ausgiebig mit Produktion zu beschäftigen und hat mehr als ein Jahr lang nachts mehr Musik gemacht als geschlafen. In dieser Zeit hat sie ihre Akustikgitarre zwar nicht verkauft aber zumindest für eine Weile im Koffer verstaut und sich stattdessen mit Synthesizern und Drumcomputern umgeben. Das Ergebnis ihrer nächtlichen Sessions sind elf mal mehr mal weniger melancholische Songs die deutlich elektronischer ausfallen als ihre bisherigen Stücke. Es erklingen sphärische Synthiepads, im Hintergrund hallen Backgroundchöre und zarte Gitarrenpattern verweben sich mit sparsamen Pianoparts zu stimmungsvollen Arrangements über denen Anne Haights Stimme schwebt. Ihre Songs klingen epischer als bisher, doch das ohne an Intimität zu verlieren. Merklich ist auch der Einfluss der verschiedenen internationalen Songwriter und Produzenten mit denen sie im Laufe der vergangenen zwei Jahre für ihr Album zusammen gearbeitet hat. In the darkness entstand in Kollaboration mit den Produzenten John Gordon und Thomas Stengaard aus Dänemark, Andrew Pegram aus Manchester, Simon Neilson aus London und Tim Knapp aus Berlin. Vielleicht ist dieses Album auch deshalb ein bisschen wie ein Mosaik, bei dem sich das große Ganze erst aus den vielen Steinchen zusammensetzt. Anne Haight kreist in ihren Texten unsere wichtigsten Themen ein: die Vergänglichkeit der Dinge und die Liebe. Doch das ohne Kitsch oder Selbstmitleid. Ihre Texte wollen aufbauen, vorwärts treiben. Die Albumsingle „Love Game“ ist ein Duett mit Jody Gadsden, dem Sänger der Londoner Band Autoheart. In dem Song wird ein Computerspiel zur Analogie für die Liebe. Gespielt wird ein aufregendes Abenteuer das immer neue Möglichkeiten, Welten und Level eröffnet. Wie in Computerspielen häufig üblich hat der Spieler mehr als ein Herz und kann deshalb immer wieder von vorn anfangen. In dem Song geht es darum offen für neue Begegnungen zu bleiben und nicht den Glauben an die Liebe zu verlieren, auch wenn man bereits die eine oder andere schmerzhafte Erfahrung gemacht hat. Auf gewisse Weise handeln viele ihrer Songs auch vom sich verlieren, suchen und wiederfinden. In dem Titelsong In the Darkness singt sie über das Eintauchen in das unterbewusste ihrer Träume und in Two Stars begibt sie sich auf einen nächtlichen Streifzug durch die Großstadt. In manchem Moment klingt sie melancholisch und sehnsuchtsvoll wie in der Ballade Mirror oder dem “ girl falls for another girl song“ A Favor. Und dann wirkt alles plötzlich wieder ganz leicht und unbeschwert wie in den sommerlichen, tanzbaren Songs Black Bird und Emily. Dieses Spektrum an Emotionen ist es die das Album intim, ehrlich und damit sehr hörenswert machen.